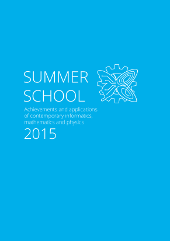 We are happy to announce a call for participation in the 10th Summer School "Achievements and Applications of Contemporary Informatics, Mathematics and Physics”. Our Summer School is the annual scientific and educational project held by Student Science Association of the National Technical University of Ukraine “Kyiv Polytechnic Institute” (Kyiv, Ukraine). Group practical projects (in the form of a “hackathon”) supervised by our best lecturers will be an important part of the program. You can read a detailed information about AACIMP-2015 program. Fees, application form and detail information also available for you. Also you can find us on Facebook, Twitter, VK and Instagram.